Paper Towns by John Green is the story of Quentin, who has always loved his next door neighbor Margo since they were both young children. As they grew up, Quentin and Margo took different paths never quite coming into a close relationship. Unexpectedly Margo turns up at Quentin’s room in the middle of the night dressed as a ninja in search of an adventure. And Quentin accepts, and soon realizes he doesn’t quite understand who Margo is. But when Margo disappears soon after that night, Quentin will have to get to know her a lot better in order to find her. This book is one of my favorite John Green novels (but since i have said this about all his books I have read so far, that does not make it so much of a surprise). I really liked how he took the concept of the two characters from Looking for Alaska, and incorporated them into an entirely different scenario. The characters are incredibly relatable, perfectly capturing the awkward social life of the average teenager. Its mix of comedy and mystery also made it a very interesting book to read. Another thing I enjoyed in this book is how John was able to incorporate poetry into the story and analyze it so you can feel intimately closer to Margo and her struggles with everyday life. Because of the poetry you can visually imagine what it would be like to be Margo, even though you haven’t had a proper conversation with her in the book. It’s this which demonstrates how John can easily convey an idea to the reader without using dialogue or the person’s presence. Though I did love this book, it has a few faults. Now I really liked Myles and Alaska from Looking For Alaska so I did not have an issue with Quentin and Margo being essentially the same people. I do feel however that John Green could have done so much by changing up his main characters and their personalities. But that does go without saying that if John knows how to write about these kinds of characters, I would rather read about them then become severely disappointed by characters that are not well written. I recommend this book for ages 13+ for drinking, violence, and some descriptive material. 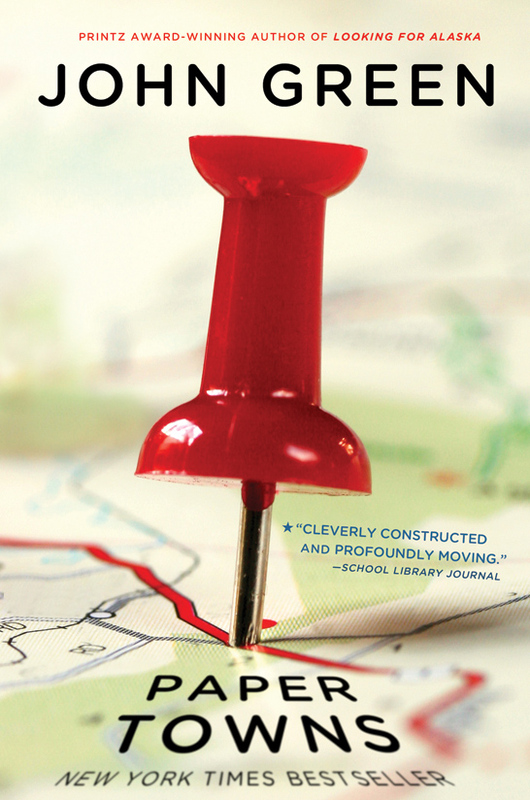 Check out Sophie’s review of Paper Towns, here. Back in September, we blogged about good reads for John Green lovers. Here’s the list: Your Next 5 Books for a John Green fan! This entry was posted in Read This!, Teen Powered and tagged coming of age, drama, high school, John Green, mystery, realistic fiction, romance, Teen Book Reviews, written by teens on May 11, 2014 by Teen Blogger.